The bumbling city of Mumbai is filled with so many things to do. But every once in a while, we wish to explore something more than what the city has to offer. The rich history of Maharashtra, gleams with glory through the relics of the royal dynasties of the past. Relics in the form of palaces, monuments and especially forts, can be found in galore all around Mumbai. One such beautiful fort is the Jaigad Fort, located 320 km from Mumbai and 300 km from Pune. The coastal fort is spread across an area of 4 acres, and is a protected monument under the Archaeological Survey of India. Read on to find out all about the magnificent fort and the places to stop by on the way from Mumbai. Ferries can also be taken from MH SH 4 in both the routes. The first stop that can be made after leaving Mumbai is the planned township of Navi Mumbai, located at a distance of about 22 km. Since the town was planned, the government added places of recreational activities like The Central Park, Parsik Hill, Pandavkada Waterfalls etc. in the surburban regions of Navi Mumbai. Apart from places to visit, Navi Mumbai has some popular shopping complexes in these suburbs. Durshet is home to two main peaks namely, Sarasgad and Sudhagad. These regions used to be under the rule of Chhatrapathi Shivaji Maharaj. During this time, Durshet served as a field of war. Durshet is now not only significant due to its history, but also since it has become a sought after destination by trekkers. The two forts make for great places to trek. Mangad Fort is situated in Mashidwadi village of Mangaon, at around 70 km from Durshet. It was built after the construction of the grand fort of Raigad by Chhatrapathi Shivaji Maharaj, in order to strengthen the security of his kingdom. 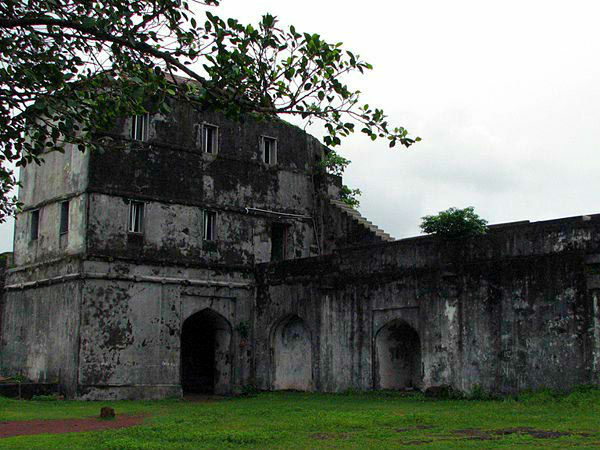 Mangad Fort is now a rustic, ruined fort that has become a popular trekking hotspot. About 31 km from Mangad Fort and 26 km off the route to Jaigad, Chhatrapathi Shivaji Maharaj's capital region can be found. He built the Raigad Fort when he was crowned as the new ruler of the Maratha kingdom. This 2,700 ft structure was built back in 1674, and has almost 1737 steps that need to be climbed in order to reach the fort. A chain of forts were built around the Raigad Fort for safeguarding the kingdom. The beautiful fort was later taken over by the British in 1818. Kashedi Ghat has one of the most deadliest curves in Maharashtra. It is, however, a beautiful mountain pass, with a view of the river Savitri since the highway was built on its banks. Tales of ghost interventions have made Kashedi Ghat one of the most scary highways in India. The myth about this highway is that a flesh-eating ghost lives here and therefore, carrying non-vegetarian food is not advised since it is believed that by the end of the journey, all non-vegetarian food disappears. So if you're looking for some ghost-buster sort of experience, you know where to keep your eyes wide open! Located at a distance of 57 km from Kashedi, Chiplun is a small town with many points of interest. The word Chiplun literally translates to 'The Abode of Lord Parashuram'. Naturally, the town is home to a beautiful Lord Parashuram Temple. Shree Kulswamini Bhawani Waghjai Mandir, Sawatsada Waterfalls, Gowalkot Fort are some of the other places that must be visited, if in Chiplun. Nestled in the peninsular tip, Jaigad is a coastal fort located in the Ratnagiri district of Maharashtra. It is a ruined fort that comes under the Archaeologicial Survey of India. The construction of the fort is believed to have been initiated by the Sultan of Bijapur in the 14th century. Later it was conquered by the commander-in-chief of Shivaji Maharaj's army and finally fell into the hands of the British in the year 1818. The fort is spread across an area of about 16,000 sq m and although it is now in ruins, it stands strong with a moat around it and sturdy bastions. Built by the British in 1932, Jaigad Lighthouse is completely constructed using cast iron. This lighthouse, located very close to the fort, gives a stunning panoramic view of the ships that sail the tranquil waters of the Arabian Sea. This can also be viewed from the fort; however, the lighthouse gives a much better vista of the majestic sea.